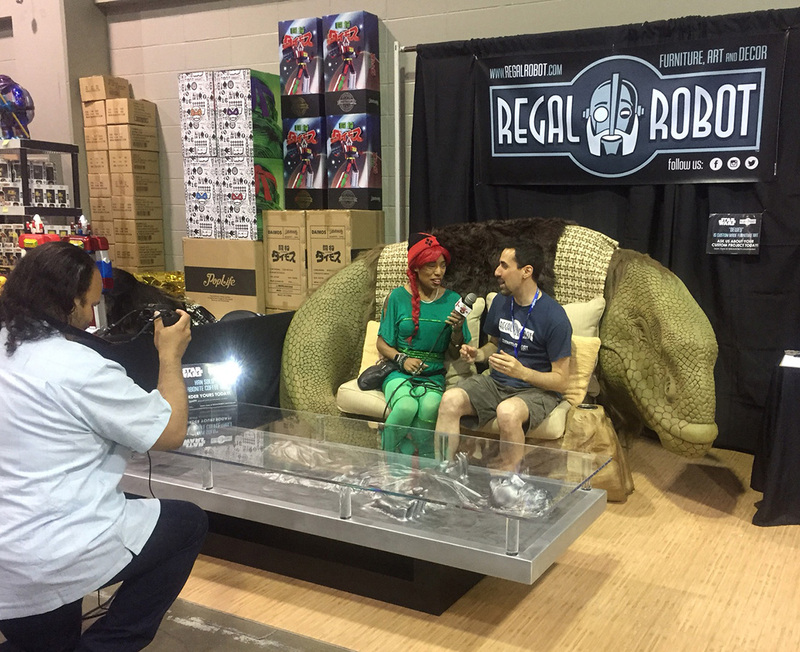 Home / News / Regal Robot at Eternal Con New York! Regal Robot at Eternal Con New York! 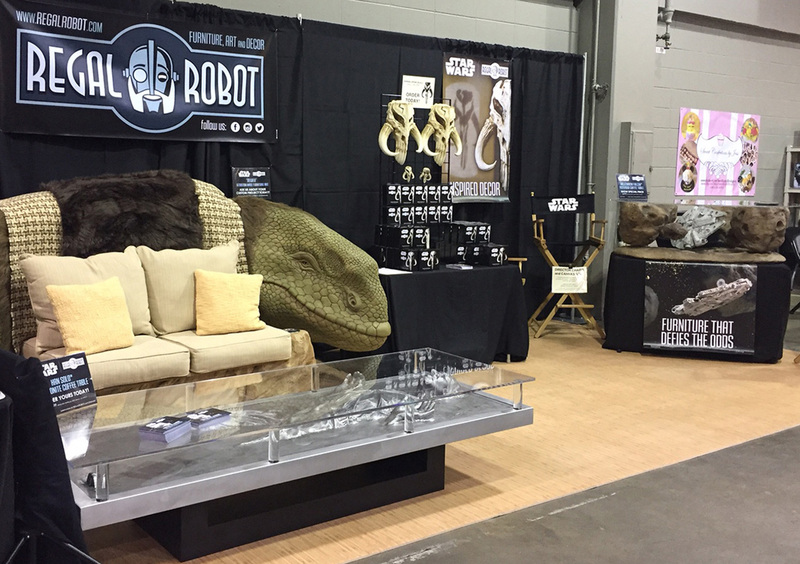 Our Star Wars furniture, art and decor was on display at Eternal Con 2017! Regal Robot Exhibits at Eternal Con New York! 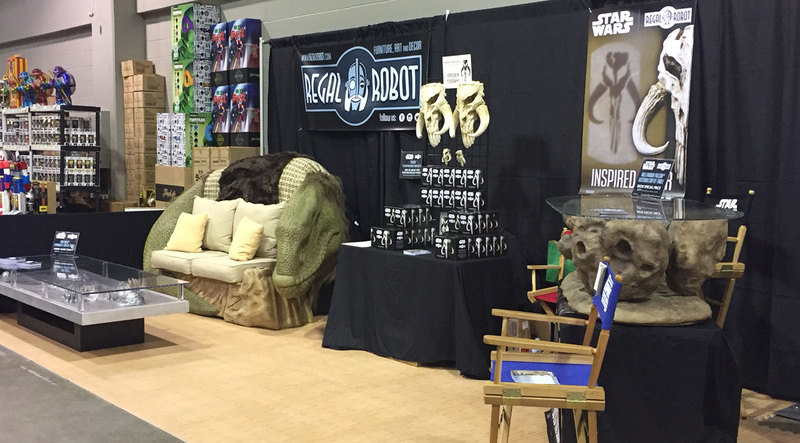 The Regal Robot team brought our stylish themed Star Wars™ furniture, art and decor to Long Island’s largest pop culture event and comic-con, Eternal Con New York last week. 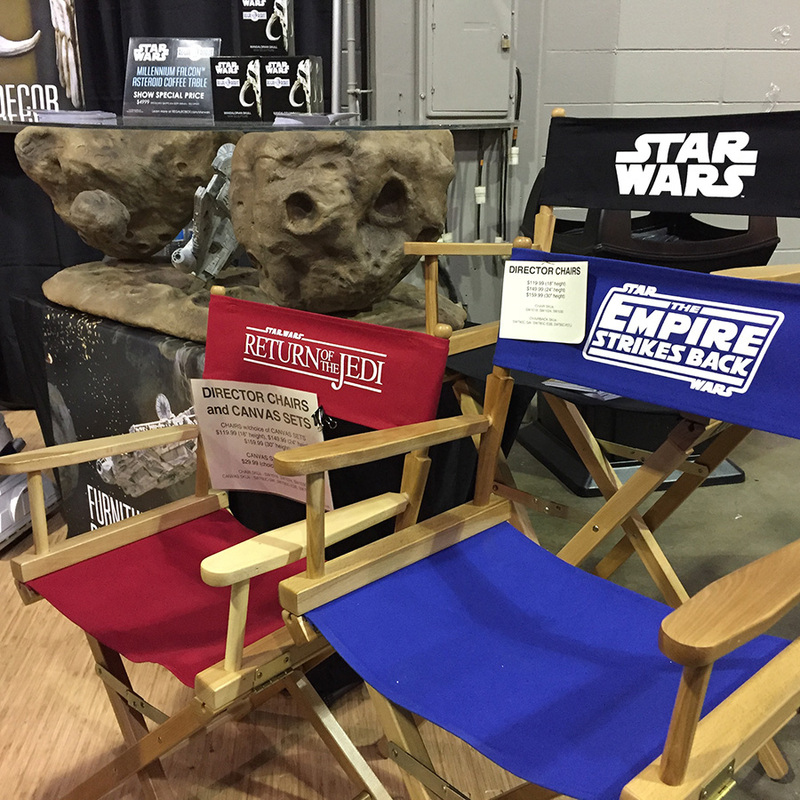 The convention’s location was the newly renovated Nassau Veterans Memorial Coliseum and we had a double size booth featuring quite a few of our official Star Wars™ furniture and decor products. It was great to have the chance to meet thousands of local fans at the convention, including quite a few in costume! 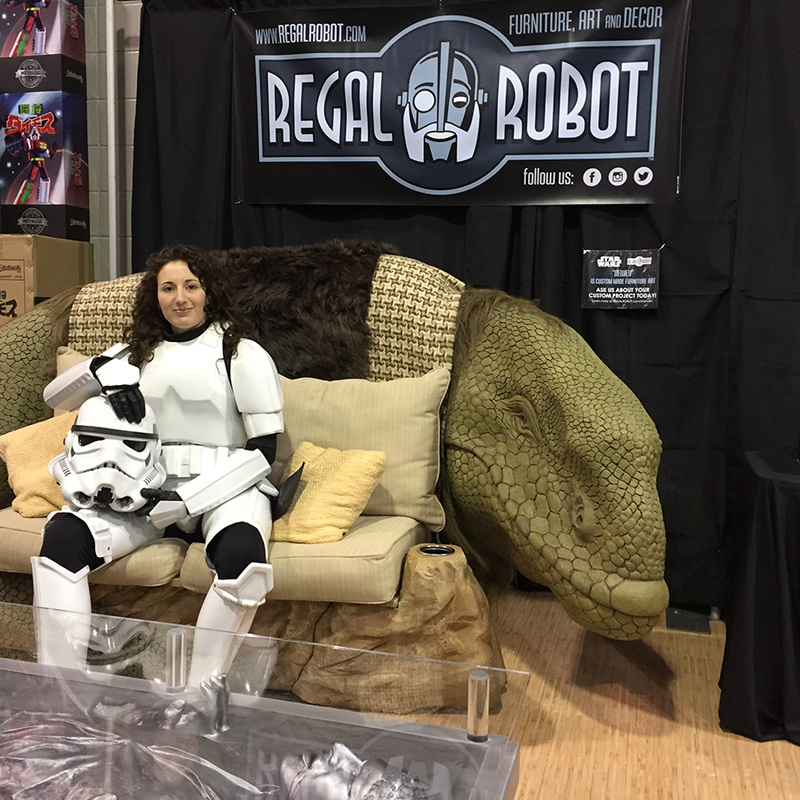 A big hit at the show was our official Star Wars custom furniture piece from our Regal Robot Custom Studio, “Dewey” the Dewback Loveseat! Fans, cosplayers and even whole families stopped by to see Dewey, take a moment to rest and grab a photo! 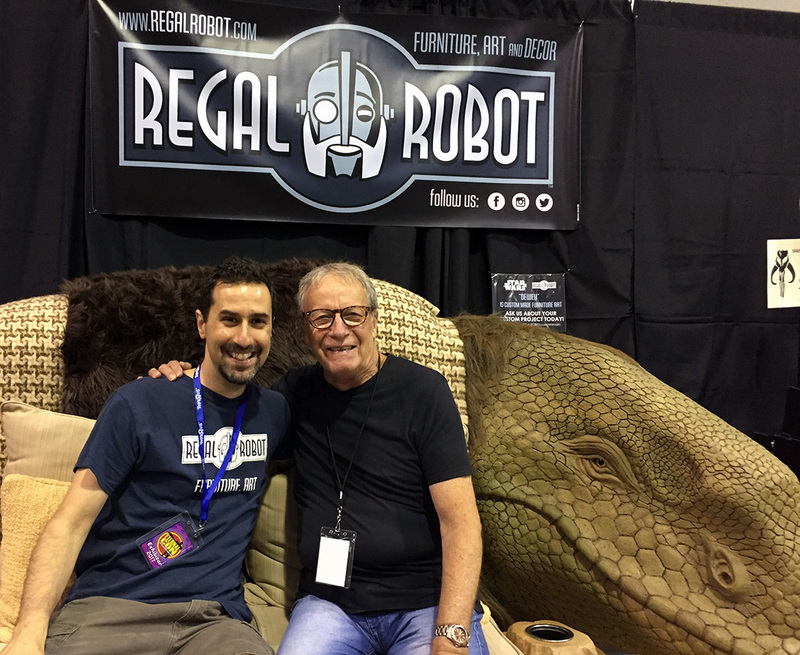 If you were one of the many fans who stopped by our booth to say, “hi!” or take a pic with Dewey, please be sure to post your pics from the show and let us know by tagging us at @RegalRobot on Twitter, Facebook or Instagram. Or email them to us via the Contact Us page on our site. We’d love to see them! As a New York based business, we’re always thrilled to meet fellow fans of Star Wars, comics and movies. Eternal Con was a great time for our crew, seeing old friends and making new ones, and we can’t wait for the new show. We hope to see you all again soon! 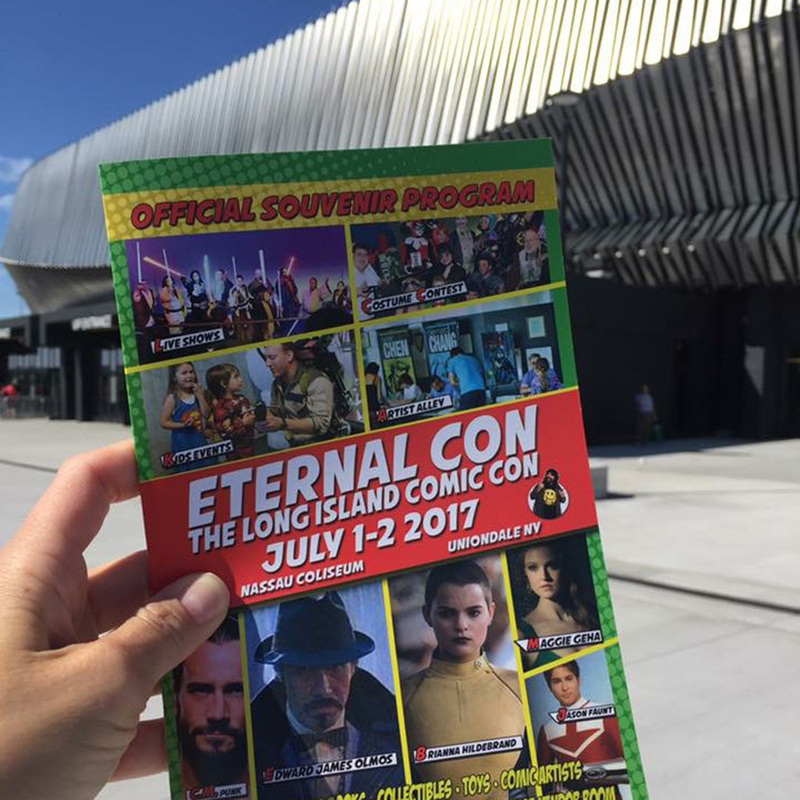 If you didn’t make it to Eternal Con this year, don’t worry! We snapped a lot of pics and have a full gallery for you to enjoy below. Still looking for more? We’ve got you covered! Be sure to follow us on Facebook, Instagram or Twitter and see even more from the show! Many fans got to see our Han Solo™ Coffee Table for the first time at the show! Everyone loves Star Wars and this trooper came by to check on our Dewback!